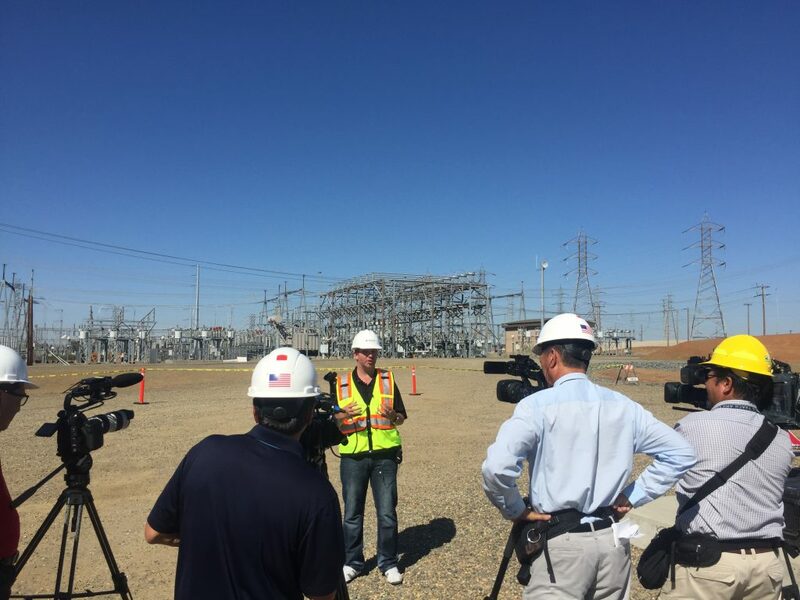 Media outlets in Sacramento were able to see firsthand SMUD's use of Unmanned Aerial Systems (UAS) technology in a demonstration before it is soon deployed. SMUD is partnering with PrecisionHawk, a leader in the commercial drone industry, to acquire aerial imagery for routine maintenance in monitoring and analyzing electric overhead transmission facilities and vegetation along rights-of-way in Sacramento and El Dorado Counties. UAV technology delivers significant operational efficiency and improved safety to SMUD, its customers and neighbors, and its employees. The UAV will help SMUD determine clearance space between vegetation and transmission lines. Routine maintenance reduces outages and enhances reliability, and also aids in fire protection and prevention efforts. UAV technology costs much less than conventional monitoring, which can require a traditional helicopter approach. More urgently, the UAV will identify drought-related dead or dying vegetation under or near transmission lines for priority removal as winter storm season approaches. Much of the urban forest has been damaged by years of drought and other factors. Trees, especially dead and dying, can fall into transmission lines and create public safety and electric reliability concerns. Aboard the UAV are multi-spectral, high-definition digital cameras and sensors, including cutting-edge laser technology used in surveying. The technology can determine specific trees that need pruning or removal. Privacy and safety are of paramount concern. SMUD will notify nearby residents and businesses prior to the flights. Those located near the flight paths are in no way included in any of the monitoring. The information gathered is limited to SMUD’s infrastructure and rights-of-way. Only specific latitude and longitude coordinates are cleared to survey, so even if the UAV is flying outside the bounds of the survey due to weather or other conditions, it is collecting only the data within the survey area. SMUD will seek available grants from the governor’s office for analysis of fire danger associated with tree mortality to complement the efforts. The U.S. Forest Service and Sierra Pacific Industries may be end users of the analysis to help determine vegetation mortality rates. PrecisionHawk will fly a lightweight, five-pound drone to collect data. PrecisionHawk’s In-Flight software provides flight planning and management during data acquisition. Data will be processed and analyzed using PrecisionHawk’s DataMapper post-processing and aerial analytics software. The drone is also equipped with PrecisionHawk’s safety software that links UAV’s 3-D ground data and live manned aircraft data from the FAA into a single system so the UAV operator knows when and where it’s safe to fly and has visibility of every ground and air obstacle in real time. For more information, you can contact PrecisionHawk at info@precisionhawk.com.